I’ve mentioned before how quickly manic panic dyes tend to fade, yes? I thought I would document some of the stages these colors go through on their way out. 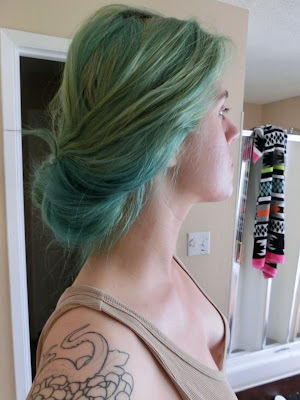 For the record, I used Manic Panic’s Atomic Turquoise and Siren Song. By this point I’ve washed it about 5 times. 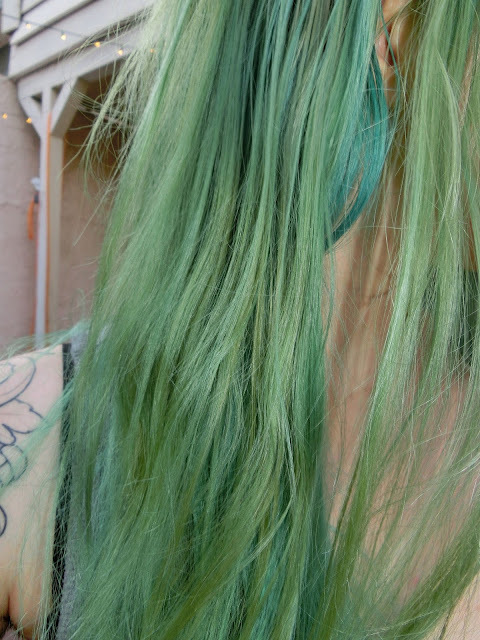 With a trip coming up I had considered re-dyeing it but decided against it. I’d really like to see how these colors fade out over time, as so far they’ve held up fairly well. 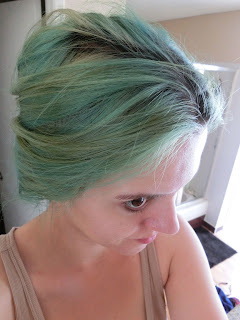 I try to use sulfate free shampoos as they’re less likely to strip the color so that may be a contributing factor. It’s a bit more sea foam green than turquoise now, but it’s not an unappealing color.